The trade show floor buzzed with optimism at The Precast Show 2018 at the Colorado Convention Center in Denver, as more than 4,500 attendees did business at the largest annual precast-specific trade show in the industry. Steady post-recession growth continued for the event, as the trade show floor ballooned to 73,000 net square feet and 375 exhibitors – a sign that the industry is healthy and headed in the right direction, according to Ty Gable, president of the National Precast Concrete Association, which sponsors the event with the Precast/Prestressed Concrete Institute. The Precast Show features heavy equipment, technology and services that span all segments of the precast and prestressed concrete industry. It has been held annually under various names since 1979. In addition to the three-day trade show, the event featured education and training courses, tours of precast plants and an industry networking event at Mile High Stadium, home of the NFL’s Denver Broncos. During the week, NPCA also announced its 2018-19 class for Leadership NPCA, held a graduation ceremony for 32 Master Precasters and 12 Leadership NPCA students from the 2017-18 class, and presented awards for plant certification and sustainability. NPCA and PCI sponsor the annual trade show, joined by two participating groups: the Canadian Precast/Prestressed Concrete Institute and the Cast Stone Institute. PCI also held its annual Convention and National Bridge Conference in conjunction with The Precast Show. The Precast Show 2019 will be held at the Kentucky International Center in Louisville, Feb. 28 – March 2, 2019. Visit The Precast Show website for details. The Canadian Precast Concrete Quality Assurance (CPCQA) Certification Program takes the place of two existing programs. 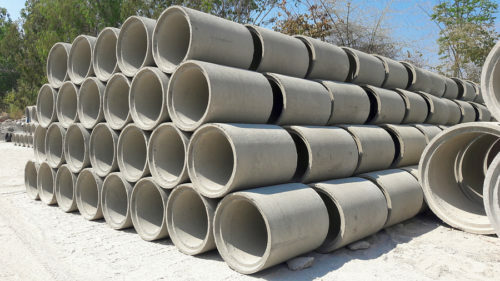 The Canadian Precast Concrete Quality Assurance (CPCQA) Certification Program is the amalgamation of the CPCI Certification Program for Structural, Architectural, and Specialty Products and Production Processes (CPCI Certification) and the Plant Prequalification Program for Precast Concrete Drainage Products (PPP). The introduction of CPCQA, which operates as a separate entity from both CPCI and CCPPA, establishes a more independent entity for an enhanced and expanded third-party administered and audited certification program for both prestressed and non-prestressed precast concrete manufacturing facilities across Canada. The program is incorporated under the Canada Not-for-profit Corporations Act and complies with all government rules of the act, as well as a jointly-signed services agreement between CPCI and CCPPA. Additionally, the program is governed by its own board of directors, which is reported to by an independent Quality Assurance Council (QAC).